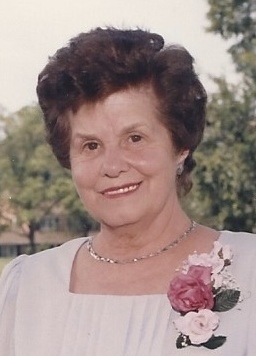 Obituary for Mary Ann (Tritelli) Nemes | Doherty Funeral Homes, Inc.
Mary A. Nemes, age 97, of Wilmington, DE, passed away peacefully on Monday, March 25, 2019. Born in New Castle, DE, Mary was the daughter of the late Ferdinand and Marie (Marcozzi) Tritelli. She worked for Wilmington Fibre and on the New Castle - Pennsville Ferry. Mary was a member of Corpus Christi Church for many years, and later of Resurrection Parish. She enjoyed gardening, cooking, sewing, reading, and traveling. She especially took pride in her rose garden. Mary loved to get together with family and friends, hosting countless family gatherings at her home. She adored her grandsons, Greg and Sean, and in her later years enjoyed nothing more than spending time with them. A kind, loving and generous person, Mary was always thinking of how she could help others. Mary was predeceased by her beloved husband of 33 years, George A. Nemes, Sr., in 1987. She was also predeceased by her brothers, Bernard Tritelli and James Tritelli; and her sisters Angelina Quattrociocchi, Elvira Gamgort, Regina Kohl, Elizabeth Amoroso, and Clara Whittle. She will be dearly missed by her son, George Nemes and his wife, Lauren; her grandchildren Gregory Nemes and Sean Nemes; and her sister Polly Gallagher. Mass of Christian Burial will be celebrated at 11:00 AM on Tuesday, April 2, 2019, at Resurrection Parish, 3000 Videre Drive, Wilmington, DE 19808, where family and friends are invited to visit beginning at 9:30 AM. Interment will follow in All Saints Cemetery. 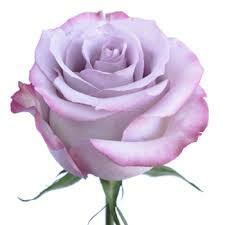 In lieu of flowers, donations in Mary’s memory can be made to the Evergreen Center for Alzheimer’s and Dementia Care. Checks can be made payable to: Brooke Groff c/o Evergreen. Please mail to: Christiana Care VNA, 1 Reads Way, Suite 100, New Castle DE 19720.